Reducing the city’s greenhouse gas emissions by 80 percent by 2050, over 2005 levels. Ensuring New York City has the best air quality among all large U.S. cities by 2030. Reducing risks of flooding in most affected communities. Sending zero waste to landfills and reducing waste disposal by 90 percent relative to 2005 levels, by 2030. Included in the City’s zero waste target is expansion of its food waste collection and composting program to serve all New Yorkers by the end of 2018. According to OneNYC, “food scraps, yard waste, and soiled paper not suitable for recycling make up 31 percent of the city’s residential waste stream. In landfills, this organic material decomposes, releasing methane gas, a greenhouse gas six times more potent than carbon dioxide. However, this material can be composted and converted into a nutrient-rich natural fertilizer that can replenish our city’s soil, strengthen our parks and street trees, and enrich community gardens.” Food waste can also be processed through anaerobic digestion, and resulting methane gas can be captured and used as an alternative to natural gas. 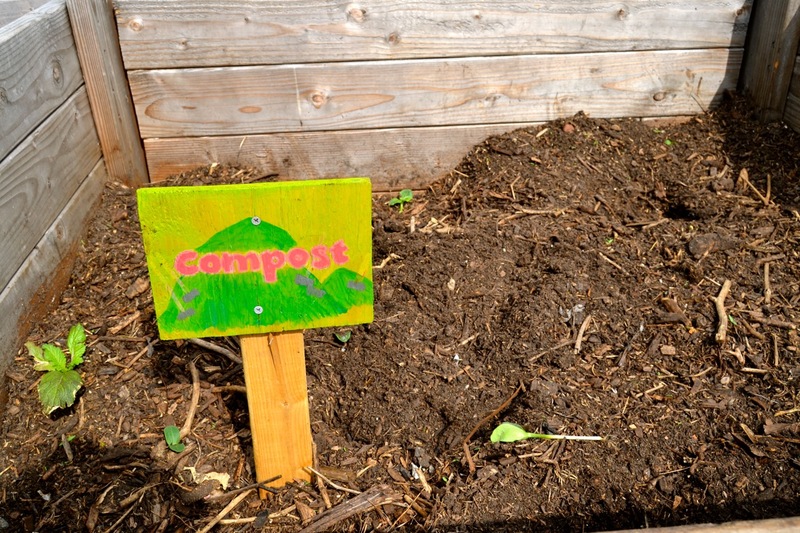 In 1993, the City created the NYC Compost Project to educate New Yorkers about the benefits of composting their food and yard waste, as well as foster community scale composting initiatives in all five boroughs. In 2013, the NYC Department of Sanitation began a pilot program to offer curbside organic-waste collection service to residents of Westerleigh, Staten Island, to test the feasibility of collecting the material directly from residents’ homes. Today, the program serves more than 100,000 households in all five boroughs, covering 240,000 New Yorkers. In 2015, the program will expand once again to an additional 33,000 households with nearly 100,000 residents. Currently, food and other organic waste collected in a Staten Island curbside organics collection pilot is delivered to the City-owned composting facility on the site of the Fresh Kills Landfill. Material collected in the other boroughs is transported to compost facilities in upstate New York and Connecticut. However, these facilities don’t have the capacity to take all the waste we generate as a city. The city plans to expand its NYC Organics program by increasing curbside organics collection and convenient local drop-off sites. To do this, however, it will have to significantly expand its organics sorting and processing capacity in New York City and the region. In addition to expanding the Staten Island facility and exploring sites in other city boroughs for additional City-owned compost facilities, the City will look to local non-profit organizations and private-sector partners to develop additional capacity for sorting and processing organic waste collection. 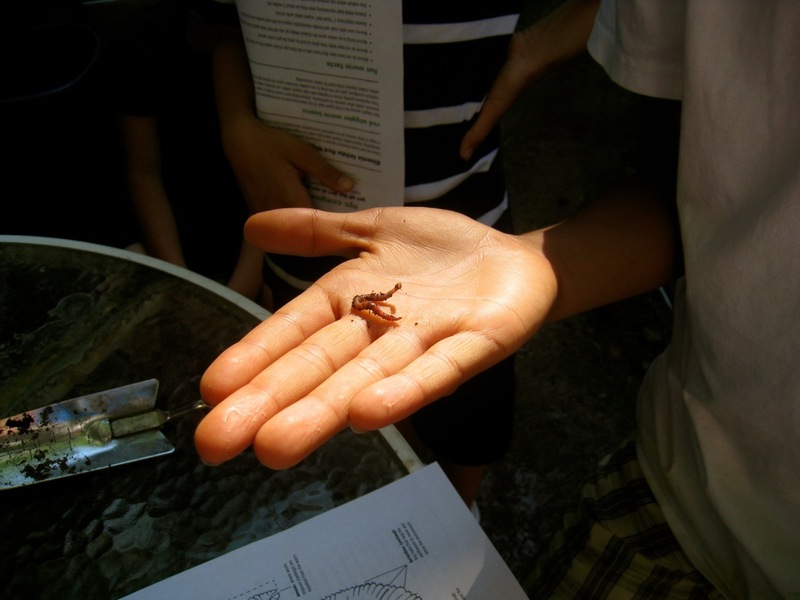 Decades before the City began curbside organics collection, residents could drop off their food scraps for composting at farmers markets and community gardens throughout the city, thanks to community groups such as the Lower East Side Ecology Center and Build It Green!. Although community composting diverts only a small amount of organic waste compared to large-scale curbside collection, it plays an important role in engaging and educating New Yorkers about the importance of composting, what benefits it provides and how to use it to grow food and make healthy soil for gardens in New York City neighborhoods. 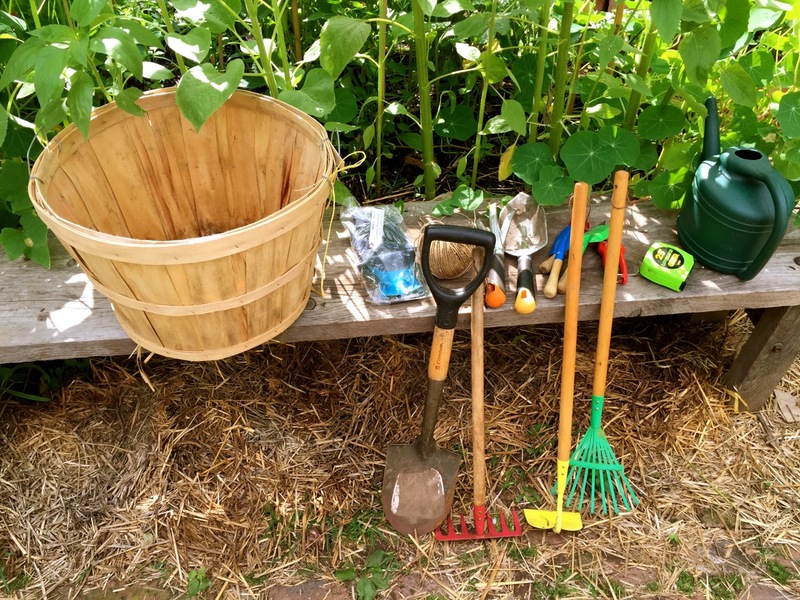 Making and using compost locally demonstrates to New Yorkers firsthand that apple cores and eggshells are not garbage, but rather, part of the cycle of life and an essential part of an healthy environmental future. Today, New York City has 225 community composting sites, and plans on adding more new sites in neighborhoods across the five boroughs. The city doesn’t just process food waste into compost, in 2013, it launched a pilot program at an existing waste water treatment plant to process food waste in anaerobic digesters to produce renewable biogas on-site. Over the next three years, the City will expand that pilot to process up to 250 tons of organic waste per day as part of a demonstration project. It will also work with other agencies to construct gas-processing infrastructure to feed the natural biogas into the surrounding grid to heat homes and businesses. If the demonstration project is successful, the plant has the capacity to treat up to 500 tons per day of organic waste, or about eight percent of the city’s total residential and commercial food waste. According to OneNYC, this can produce enough energy to heat up to 5,200 homes and reduce annual greenhouse gas emissions by 90,000 tons–a potential scale of organic processing beyond anything anywhere in the country. For more about the city’s program expansion and the biogas project, see, With Compost Program, Keeping Waste From Going to Waste, New York Times, May 21, 2015.
Who is eligible for expanded NYC Organics Collection? Houses and small buildings with less than 10 units in pre-determined pilot areas automatically receive this service. Large apartment buildings with more than 10 units can request to receive this service. Private schools that meet certain eligibility requirements are invited to sign up to start service. City agencies and non-profit institutions can also request to participate in NYC Organics Collection. If you live in an apartment building with more than 10 units, you can request curbside collection for food and other organic waste by submitting an inquiry online. If you live in a large apartment building that is already participating in the NYC Organics Collection, follow these guidelines for recycling organic waste. Collect organic waste separately from your regular garbage and recycling. You can gather food scraps and food-soiled paper in a specially-purchased countertop container, plastic container, or rinsed milk carton. To prevent odors and make clean-up easier, you can line your container with newspaper, paper bags, or DSNY-approved certified compostable liner. (For a map of stores that carry compostable bags, click here). Bring your organic waste to your building’s designated organics collection area. Don’t put regular plastic bags in the bin. If you use a regular plastic bag to collect your food scraps, throw away the bag after emptying the food into the organics bin. If you have any questions about the organics collection in your building, contact your building super or management company. Food scraps like vegetables, fruit, baked goods, coffee grounds and loose tea, cereal, flour and grains, pasta and rice, nuts, eggs and eggshells, dairy products, meat, fish, and bones. Food-soiled paper such as paper towels, napkins, paper plates, coffee filters, and tea bags. Plant and yard waste such as flowers, houseplants, leaves, garden trimmings, and grass clippings. Plastic or foam packaging, take out containers, plastic bags, utensils, containers of cooking grease or fats, pet waste, hygiene or medical items, or cleaning products. Recycle your metal, glass, plastic, and cartons, and clean paper and cardboard separately. For more information on the NYC Organics program, visit the DSNY website. The following is an excerpt from NYC Foodscape‘s recent article for a national affordable housing publication, Assisted Housing Management Insider, about creating and managing food access programs for residents of affordable housing sites. The Insider is a plain English “how-to” publication, giving advice to owners and managers of low-income/federally-subsidized and public housing (Section 8 project-based, Section 202, Section 236, Tax Credit, NYCHA/PHA, HOPE 6 and other federally regulated sites) on complying with complicated housing regulations and managing their properties effectively. According to the U.S. Environmental Protection Agency (EPA), organic waste, such as food scraps and yard trimmings, comprises 28 percent of municipal waste that ends up in landfills. In some cities, like Seattle, that amount is over one-third of residential garbage, about 45,000 tons each year. This extra waste is transported hundreds of miles to a landfill, adding to heaps of existing garbage, producing methane, a potent greenhouse gas, with 21 times the global warming potential of carbon dioxide. Landfills are a major source of human-related methane in the United States, accounting for more than 20 percent of all methane emissions. Cities around the country, like San Francisco and Seattle, have begun to pass laws requiring residents and businesses to collect their food, yard, and other organic waste for composting. Other cities, such as New York, are piloting curbside and other residential municipal composting programs that may expand into citywide voluntary or even mandatory programs later. And many cities, like Denver, Colo., and Austin, Texas, encourage residents, businesses, and multifamily sites to collect food waste for composting and offer support and incentives to do so. 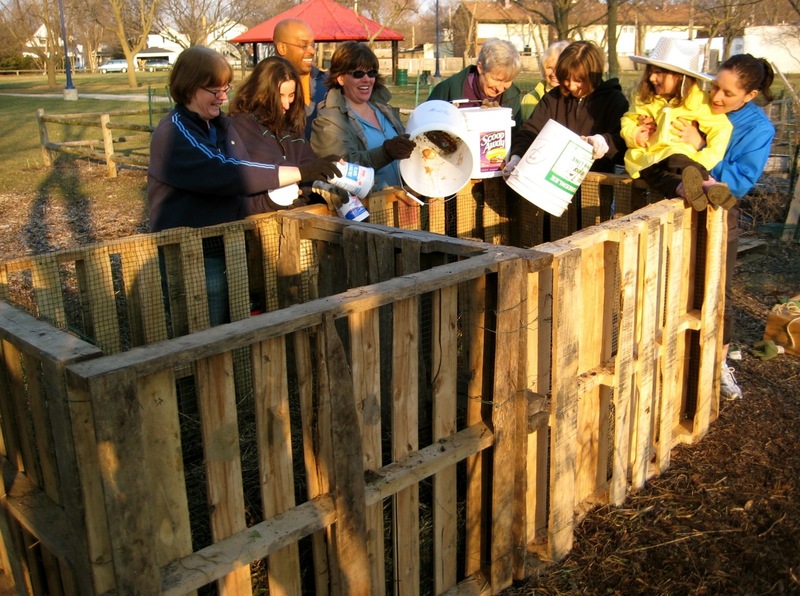 Even if your city or town doesn’t require composting, HUD encourages sites to reduce waste and to adopt practices like composting that are good for the environment. We’ll tell you how municipal composting programs affect site owners and managers, spell out the benefits of collecting and composting food waste, and give you tips for doing it successfully at your site. 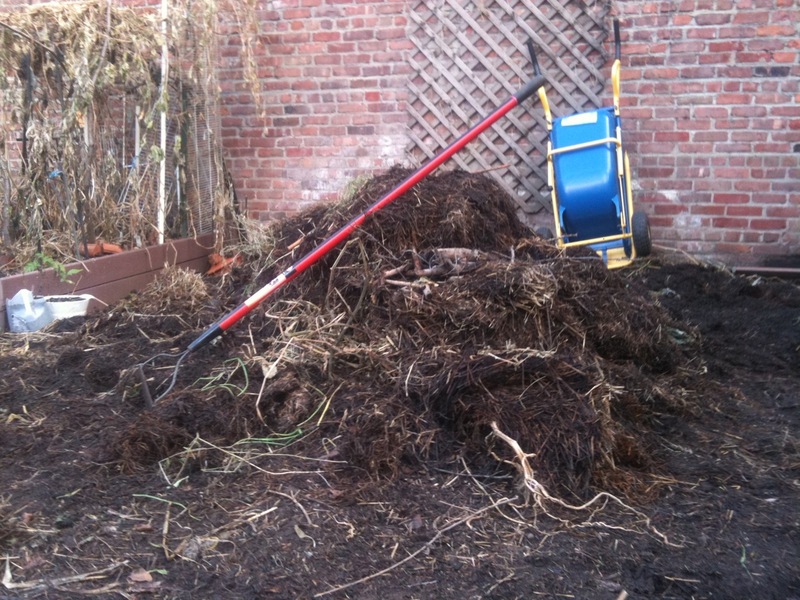 Composting involves collecting organic waste, such as food scraps and yard trimmings, and storing it under conditions designed to help it break down naturally. Instead of throwing food and other organic waste in the garbage, residents and businesses collect this waste as part of a municipal composting program that turns the waste into compost at a local compost facility or encourages onsite composting for gardening and landscaping use in the garden. San Francisco was the first city to pass a mandatory composting law in 2009, which requires residents and businesses to separate food and other compostable materials from other garbage to keep them out of landfills. Several other cities and the state of Massachusetts have followed with similar laws. For example, as of Jan. 1, 2015, the City of Seattle no longer allows food and compostable paper, including food-soiled pizza boxes, paper napkins, and paper towels, in garbage. As with many local recycling laws, multifamily sites in these cities often bear responsibility to help residents compost their food waste by providing appropriate containers and information about proper composting use. In San Francisco, multifamily rental and condominium sites with five or more units must provide a food waste collection bin for residents to use and residents can report sites that don’t comply with their requests for appropriate collection bins. And in Seattle, beginning July 1, 2015, sites with garbage containers that contain more than 10 percent contamination from food waste or recyclables face written warnings and fines. Even if your city or town doesn’t require you to compost food waste, your site can reap numerous benefits by doing this voluntarily. Environmental benefits. Since starting its municipal composting initiative, the city of Portland has reduced curbside garbage collection by almost 40 percent, says Kyenne Williams, program specialist in Portland’s Multifamily Waste Reduction office. The food and other organic waste that used to go into landfills now becomes compost, a fertilizer that adds nutrients to soil, and energy that provides electricity, notes Williams. Compost-rich soil also absorbs water run-off and breaks down urban pollutants, such as oil, grease, metals, and chemical fertilizers. Healthy soil increases drought resistance by reducing the need for supplemental water, fertilizers, and pesticides. Site maintenance, health, and safety benefits. Food waste dumped in standard trash cans and Dumpsters at sites can generate bad odors and attract rodents or insects, leading to health and safety violations and lower scores during REAC and local inspections. Collecting food waste separately from trash and managing it properly can significantly reduce, and even eliminate these problems for staff. The site’s garbage is cleaner and lighter, and takes up less space. There are fewer spills from loose, uncontained garbage bags, and fewer rodents and insects when the bins are maintained properly. Also, diverting food waste from sink disposal units to composting helps prevent costly repairs due to clogged drains and sewer lines. Lower site waste disposal costs. Sites often pay less for their garbage service by decreasing the weight and amount of regular garbage and reducing overflow costs. Some cities, particularly those that require or encourage composting, will take food waste for free. And some private haulers charge less if the food waste is separated from the trash and sent for composting rather than landfilling. Green site design and practices. HUD encourages and supports a range of environmentally friendly practices, including recycling and other waste reduction practices, and encourages sites to involve residents to help the environment and create a clean, healthy, and “green” site. Reducing waste by collecting and composting food waste works when sites engage staff and residents and can improve overall site morale and image. Also, many new construction and major rehabilitation developers are adding organic waste composting collection service or even onsite composting as part of their site’s design and planning, because owners can get extra points and incentives through financing, zoning, and green design programs, as well as state or federal tax credits under programs like the Low Income Housing Tax Credit and the New Markets Tax Credit programs. Here are seven tips for success, based on mandatory and voluntary municipal multifamily composting programs in numerous cities and towns, for launching and managing food waste collection at your site. For the rest of the article, a model letter to residents explaining composting program and links to resources nationally on composting, click here. (Excerpt reprinted with permission of Vendome Group, LLC., the publisher of the Insider).